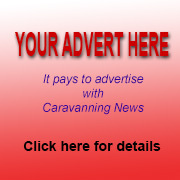 FROM the humble beginnings of six caravan parks 15 years ago, Australia's largest owner and operator of caravan and tourist park accommodation is leaping into the glitzy world of luxury glamping. 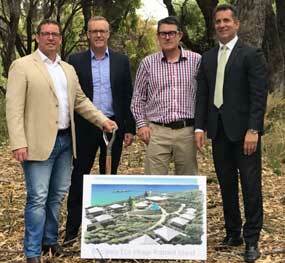 Discovery Parks has entered a $20 million joint venture deal with former ferry owners Baileys Group to build an environmentally sensitive luxury eco village on Rottnest Island just off Perth. 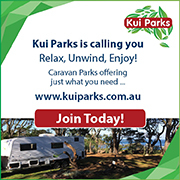 Discovery has 30-plus parks offering cabins and more than 2500 caravan and camping sites nationwide. But its latest project will see 83 eco tents with ensuite pods connected via elevated walkways through the dunes to the Pinky’s Beach Club complex with swimming pool, alfresco bar and licensed dining areas ... and not a caravan in sight. "The venture could not come at a more exciting time because, both in Australia and internationally, tourists are wanting to experience nature in a deeper and more connected way," Discovery Parks chief executive Grant Wilckens said. "It taps into a clear need for new accommodation on the island as there's been nothing developed for over 30 years, and certainly nothing of this calibre. "We see the project as having significant appeal for those who want to connect with Rottnest Island's pristine environment but do so in safety and comfort." Mr Wilckens said research had suggested strong demand for high-end glamping accommodation on the island and bookings were expected to be "strong" by the scheduled opening later this year. Baileys Group director Guy Bailey said his company was "excited" to be partnering Discovery Parks to help realise the vision for Pinky Beach. 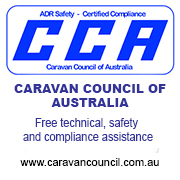 "They are operators of quality camping and holiday parks throughout Australia, many in unique locations such as Byron Bay, Cradle Mountain and the Barossa Valley and are as passionate as we are about sharing Australian experiences with their guests. "They will help us make the concept of a glamping retreat for Rottnest Island a reality," Mr Bailey said. The eco village will be located 650 metres from the main settlement and jetty at Thomson Bay, and will offer tourists the opportunity to sleep (almost) under the stars. Mr Bailey said that while day visitor numbers were increasing, overnighting had been stagnant and not keeping up with population growth over the past 15 years. This meant significant potential to grow the numbers of overnight visitors – especially with the recent introduction of an additional ferry service. "Rottnest Island, with its unspoilt environment, beautiful beaches and bays, quokkas and seals and water sports, offers exactly the type of experience many travellers are seeking," Mr Bailey said. "We expect the glamping accommodation at the Discovery Eco Village Rottnest Island will appeal to both international and domestic travellers." It has been developed with the local Rottnest holidaymaker very much in mind, but will also cater for visitors to Western Australia who seek out an exceptional natural experience. 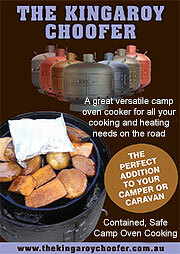 Accordingly, accommodation options range from affordable family tents through to a true five-star glamping experience. 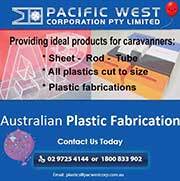 The project has the full support of the Rottnest Island Authority Board and the Western Australian government. The Baileys Group has extensive experience of the island’s tourism profile, once owning the Rottnest Express ferry service and now operators of the Thomsons Restaurant.